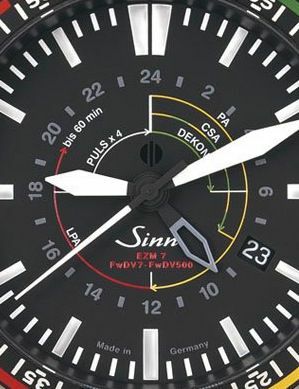 Sinn‘s EZM (Einsatz Zeit Messer) watches were always dedicated for professionals who need to depend on their watch, like firefighters… They need to know how long one can stay in a building burning with all the smoke (even with air tanks), to take someone’s pulse etcetera. While Sinn used to have the EZM4 for firefighters, it ceased production a while ago. Now, Sinn introduces the EZM7. Click here to read my article on the EZM7 on MotoringExposure’s Wednesday Watch.